When creating the image of Diana, the poetry of the ancient myth merged with the poet’s worldview of the artist. The image of the ancient goddess – a favorite work of the sculptor – is full of charm. Diane is fanned by a gentle glow of youth and beauty, purity and freshness, perceived by the sculptor from living nature, without infatuation with its sensual attraction. 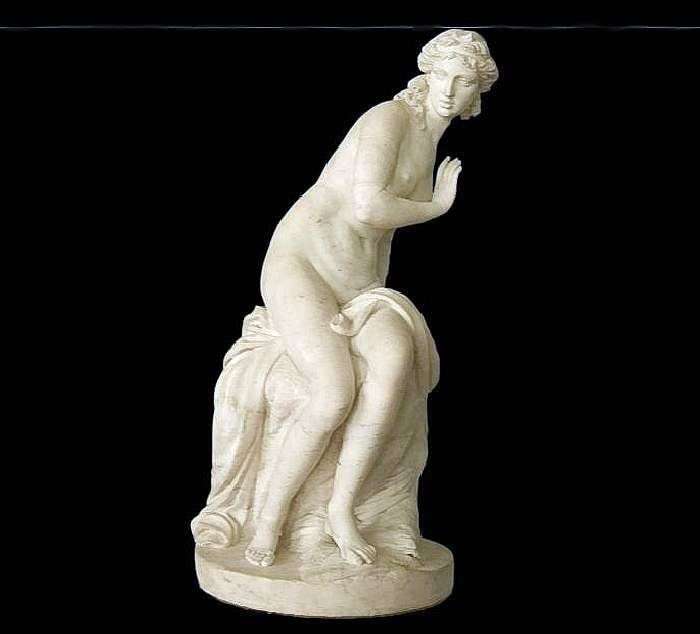 The natural pose of the angry goddess caught by Actaeon during bathing. The excitement and fright are expressed in her restless movement. Shchedrin seeks to transfer individual features of the model, to the concrete expression of her mental state. Diana – the daughter of Jupiter and Latona, was revered as the goddess of hunting, the mistress of beasts. Description and meaning of the painting Diana by Theodosius Shchedrin.